Newcastle Racecourse is preparing itself for thousands of visitors this June as the North East's premier racing festival returns for another year. Now Europe's richest handicap in the racing calendar, the proud history of the race that was once known as 'The Pitman's Derby dates back to 1833 and was once held on the city's Town Moor. The race originally took place on a Wednesday and was treated as the day's holiday for the mineworkers of the region as they celebrated the festival known locally as 'Race Week', but the tradition of holding a race meeting at this time of year goes back even further to the 1600s. It's come a long way since then, with sponsorship by John Smith's brewery and a share of a glittering purse of £150,000 on offer for the winner and runners-up of the Northumberland Plate Handicap, which is held on the final day of the festival. The festival has been held at Newcastle Racecourse at Gosforth Park on the outskirts of the city since the late 19th century and this year's event runs from 26th – 28th June. Whether you're a regular race-goer or a first time visitor, there's sure to be something to cheer about as the tickets start from just £14 per person if you want to be close to the action in the Grandstand or Paddock. There's a chance to mingle with the crowds, see the thoroughbreds up close, have a bit of a flutter on the horses and watch the atmosphere change as it heightens to fever pitch as the race gets under way and you rally your favourite home. 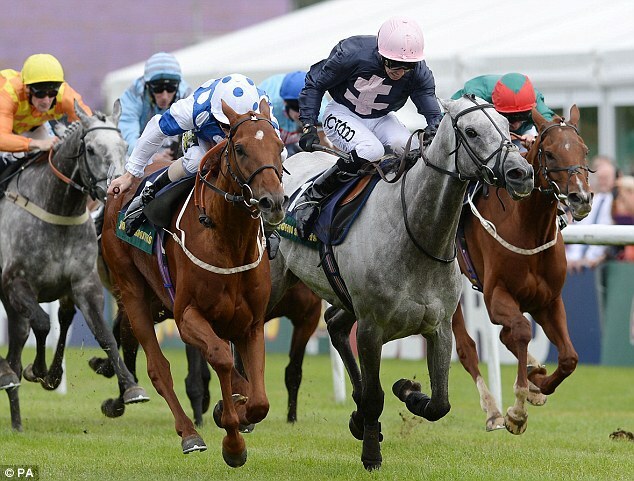 As far as the equine contestants go, entrance to the festival is for thoroughbreds aged three years and over with last year's winner, six-year-old grey 'Tominator' and jockey Graham Lee completing the 2 mile and 19 yards flat race to take the £92,000 1st prize pot for owner, Patsy Byrne and trainer Jonjo O'Neill. But a day at the races is not just for connoisseurs of equine prowess and gentlemen's wagers. There are facilities for corporate events or you you can just enjoy a meal, make it a family occasion, works event or a day out with the girls (or boys) if you like. There are a range of hospitality packages from champagne receptions to beer and burger deals to help you enjoy your day and soak up the atmosphere. Children accompanied by a paying adult get in free and there are a range of food and drink outlets around the course. Dress smartly for the occasion. I've only ever been to one race meeting and had a really good day out. If you want to make a weekend of it, there are plenty of things to see and do in Newcastle and the high quality Marriott Newcastle (formerly the Gosforth Park Hotel) is just across the road from the racecourse. Or for a great night out, the LadsCupNight takes place on Friday 27 June followed by a night of music with Oasis Tribute Band - Noasis. The racecourse is about 5 miles outside Newcastle city centre and is quite close to the airport. The nearest mainline station is Newcastle Central Station which connects to the nearest Metro station at (Gosforth) Regent's Centre on the airport line. Shuttle buses to the racecourse are available on race days. By car - the Racecourse is signposted from all main access roads to the city including the A1 and A19 - follow the brown tourist information signs. Free parking is available at the course. Please remember to drink and gamble responsibly.